When looking for a powerful piece of cameras that can capture even the fastest action, some people will surely recommend you either Sony Alpha A6000 or Sony Alpha A5100. Yes, these two models were made by the same manufacturer, yet they are comparably famous due to their excellent qualities at more reasonable prices compared to other competitors on the market. Sony Alpha A6000 and Sony Alpha A5100 are mirrorless digital cameras with ultra-high resolutions and ultra-fast capture speeds. The two models may appear very identical to each other, thus rendering people unable to decide between these choices. Sony Alpha A6000 or Sony Alpha A5100? Let us compare them! 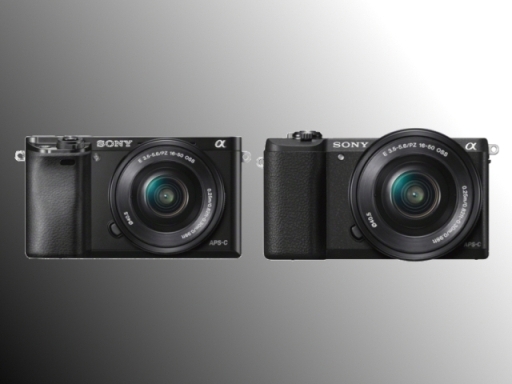 Both Sony Alpha A6000 and Sony Alpha A5100 are both 16-50mm mirrorless digital cameras. However, Sony Alpha A6000 is armed with quite a lot of more power than Sony Alpha A5100. First, it has an extended ISO capability, up to 51200 ISO setting compared to Sony Alpha A5100’s 25600 ISO settings. Second, Sony Alpha A6000 also boasts a higher fps burst for both JPEG shooting and RAW shooting. Third, it comes with eye-level viewfinder and hot-shoe flash. With the combinations of these advantages, Sony Alpha A6000 becomes an indeed more relevant and viable weapon for working under extremely low light situations. FYI, Sony Alpha a6000 vs a6300. Between Sony Alpha A6000 and Sony Alpha A5100, we must say that each model has each own plus and minus points. Sony Alpha A5100 can be very convenient and fun to use because of its touchscreen user-interface. You will be able to pinpoint every focus point directly and hence more accurately. Nevertheless, Sony Alpha A6000 comes with quite a higher display resolution. The model has 307k pixels, as opposed to Sony Alpha A5100’s ‘only’230k pixels. You will be able to judge and evaluate more accurately the preview every time before you decide to snap a photo. Sony Alpha A6000 and Sony Alpha A5100 come with similar connectivity and features. Both them are equipped with built-in Wi-Fi and Bluetooth to provide seamless wireless connectivity to other devices. Both are also able to perform time-lapse recording and on-sensor phase detection. Both are compatible with Sony’s camera application, PlayMemories. Though they appear identical to each other at first, finally we can see that Sony Alpha A6000 makes a better choice instead of Sony Alpha A5100. The extra features are useful and can be very handy at times. You must opt for Sony Alpha A6000!